The Cane Corso is a muscular dog breed native to Italy, and the breed's name means "Guardian" or "Protector." 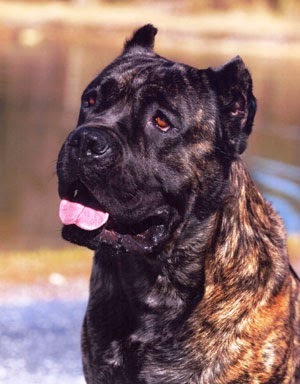 They are also called the Italian Mastiff. Prior to 1988 the dogs were only known in Southern Italy and were considered very rare. Today they are somewhat more common. Cane Corsos have been used for hunting of large wild animals, and they excel as guard dogs for both humans, home, and cattle. They are intelligent and easy to train, but they are also large and athletic and need an ample amount of exercise. They bond closely with their families and are generally good with children, but they can be suspicious against strangers, and early socialization is recommended. The dogs have a short coat, but it's not smooth; it is coarse and thick, and virtually waterproof. They don't shed much and only require an occasional brushing. 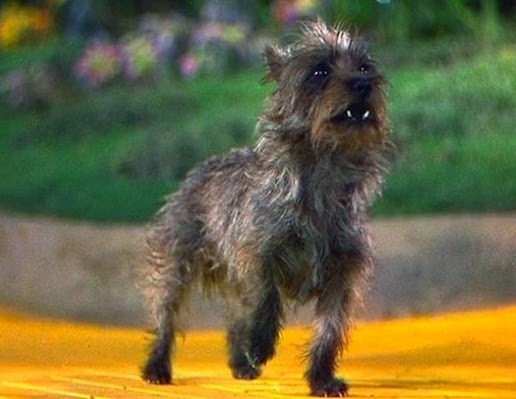 Toto, the faithful dog who accompanies Dorothy to Oz, is a Cairn Terrier. The original Toto was five years old when filming the movie, and her real name was Terry. Terry's career stretched from 1936 to 1942. She participated in fifteen different movies and gave the breed a boost in popularity. Allegedly, the role as Toto made everyone call her by that name, so her owner changed her name to Toto. She was a great success and went through excessive training - if you look at the 1939 The Wizard of Oz, Toto is in almost every scene. She was paid $125 per week. Not bad for a dog at that time! Some common every-day objects are very dangerous to cats and dogs, and it might be easy to forget that they're available in an open purse, backpack, or similar. Pets are a lot like babies; they stuff things in their mouths that we would never dream of tasting. Prescription medications should never be taken by anyone except for the person with the prescription. But, even common painkillers can cause problems for pets. 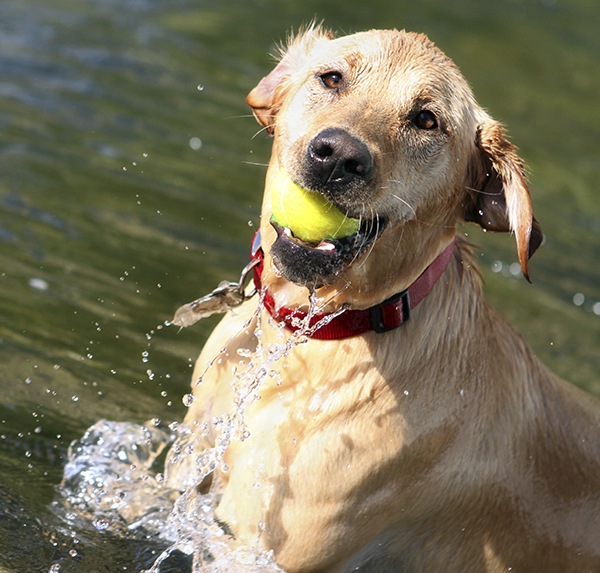 Advil, Motrin, and Tylenol are examples of common drugs very dangerous to pets. The acetaminophen in one Tylenol is enough to kill a cat, and can cause liver problems in a dog. Human antidepressants are also very dangerous for pets. These look innocent enough, but some dogs think they're toys, and if a dog bites through the shell, the substance inside is enough to cause an acute, life-threatening poisoning. Artificially sweetened gum and mints. 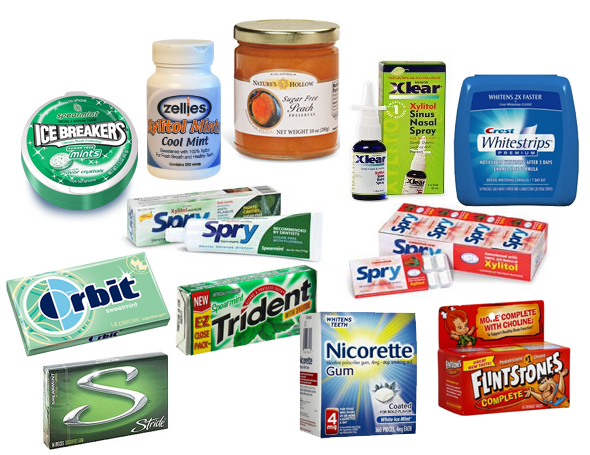 Most chewing gums and mints contain xylitol. It is also common in chewable vitamins, sugar free candy, and nicotine gum. Xylitol is fine for humans, but very toxic to dogs. Even a small amount can lead to a dangerous blood sugar crash in dogs, and a larger amount can lead to liver failure. All forms of nicotine. Cigarettes, smokeless tobacco, chewing tobacco, nicotine gum, lozenges, anything with nicotine can potentially kill a pet. These products contain lots of alcohol and can potentially cause coma and death in pets. If you think your pet got into something poisonous, call your veterinarian at once. If they really ate something poisonous minutes can matter, and the sooner you get the correct diagnose, the easier, safer, and less expensive it will be to treat your pet. If you want to know more about pet poisons, visit the Pet Poison Helpline! A couple of weeks ago we wrote about cats and dogs being able to see in ultraviolet. This would be both convenient and amazing in many situations, but due to human interference the ability might also be terrifying. 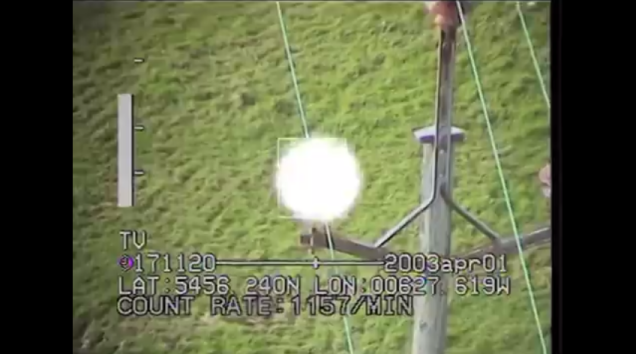 The Guardian reports that UV cameras can pick up coronal discharges around power lines that humans cannot see with the bare eye. These lights and flashes correspond with the humming we can sometimes hear around power lines. Naturally, what we see with the aid of a camera is still not the same as animals able to detect ultraviolet frequencies would see, and the cameras can see a narrower range than most animals, but at least it gives us an idea. We have known for a long time that animals in the wide prefer to avoid power lines, and the popular explanation has been that the corridors cut to accommodate the lines expose animals to predators. However, with power lines looking like glowing and flashing bands across the sky, they might have an unforeseen worldwide impact. Besides disturbing our domestic friends like cats and dogs, they might interfere with migration routes for birds and prevent mammals from going where they need to be. Burying all power cables does not seem a realistic alternative, but one idea is to put a non-conducting shield around the cables to screen them from view. Everyone likes a special treat now and then, and doggies are not an exception. If you're anything like me, time is of the essence, and baking has to be quick and easy. These sweet potato dog biscuits are super-easy. Stir the ingredients. Roll the dough into small balls and place on a cookie sheet. (I always use parchment paper on my cookie sheets, so the cookies don't stick.) Flatten the cookies until they're about 0.25 inches thick. Bake until golden brown, it takes about 30 minutes at 350 F.
The Chinese Chongqing Dog is native to the Chongqing city in China and it is very rare, even in China. They are traditionally used for hunting, protection of the home, and companionship. These dogs are known to be alert, intelligent, and dignified. They are devoted to their families and good with respectful children, but can be aloof with other dogs and suspicious towards strangers. However, if the owner accepts a stranger the Chongqing dog will as well, even if the owner leaves. The breed is ancient and said to have existed for at least 2,000 years, since the time of the Han Dynasty in Ancient China. They have evolved through natural evolution, and have keen instincts. 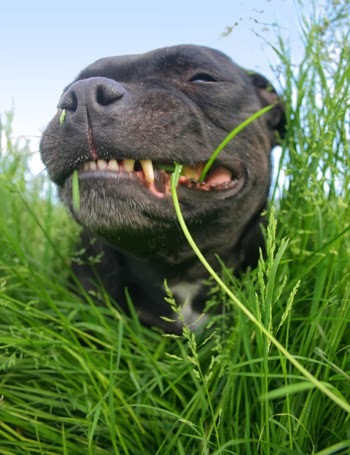 With sufficient exercise they can do okay in an apartment, but they love a grassy yard. They make good jogging companions, but besides exercise they prefer peace and quiet. A "rowdy" household might make them uncomfortable. Chongqing dogs are very healthy, and the life expectancy is 18 years. They do have a thin coat and some individuals develop skin problems. Other than that, no major health problems are known. Benji is a fictional dog who was the focus of several movies. 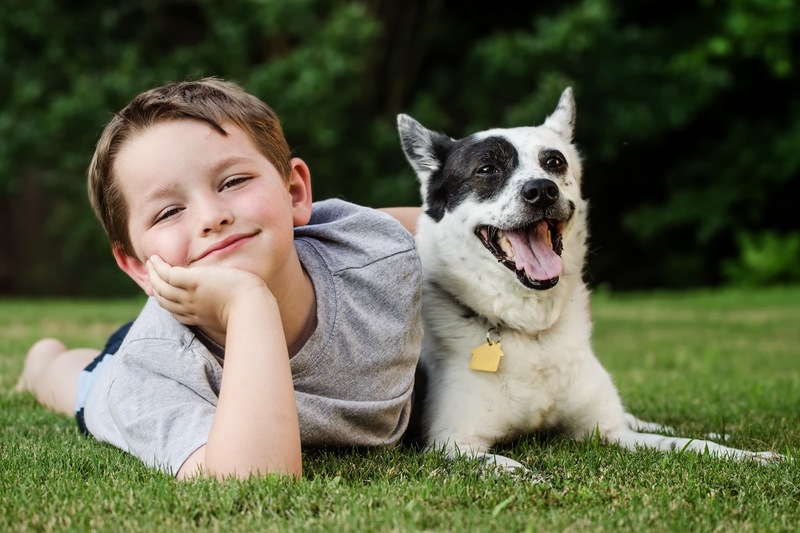 Benji is a stray dog living in a small Texas town where he has befriended a number of people, but his favorites are two children and their housekeeper. The trio decides to keep Benji and hide him from the children's father, and the plot escalates from there. The Benji character has been selected by Oprah as her favorite onscreen animal. 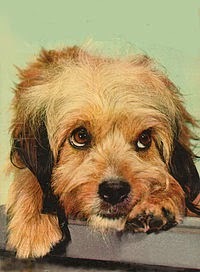 The original Benji was played by Higgins, a mixed breed dog. Higgins was the best known dog actor of the 1960s-1970s, appearing in a number of TV shows, being featured on the cover of TV Guide Magazine, and even winning an award. Higgins was known for being extremely clever. During his14 years in show business he learned one new trick every week, and remembered them all. 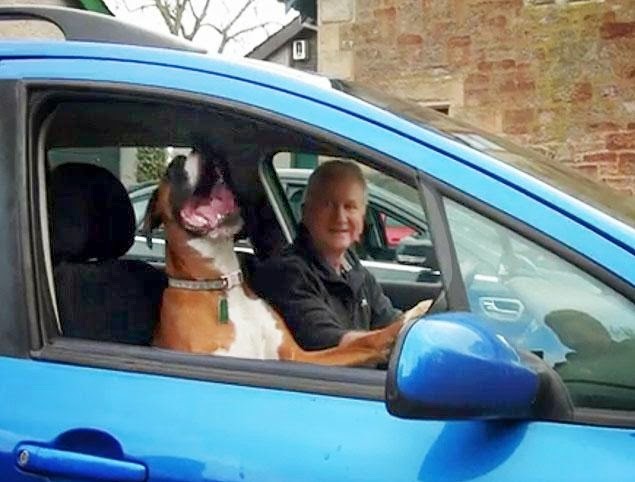 Fern is a Scottish boxer who recently became an Internet sensation. Her human expected her to wait in the car for a few minutes while he browsed an art gallery, but Fern didn't want to be left alone. She jumped into the driver's seat and placed a paw on the horn. The never-ending noise made pedestrians think someone had passed out and slumped against the wheel. They did get to use their cell phones, but not to call for help. The car was quickly surrounded by people snapping photos and shooting videos. Fern's human says, "usually when she sees me she stands up and gets excited with her tail wagging, but this time she just gave me a sideways glance and kept on honking the horn." This video already has over 150,000 hits on Youtube. 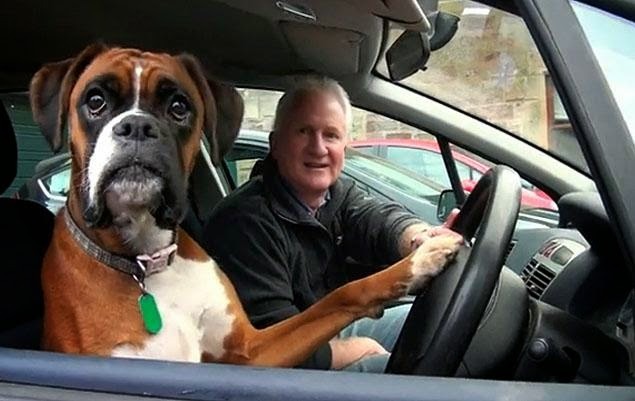 This is probably a good time to point out that we don't advocate leaving dogs unattended in cars. I wouldn't be too worried about Fern though; she has clearly figured out how to get attention. Fern laughs at all the attention. 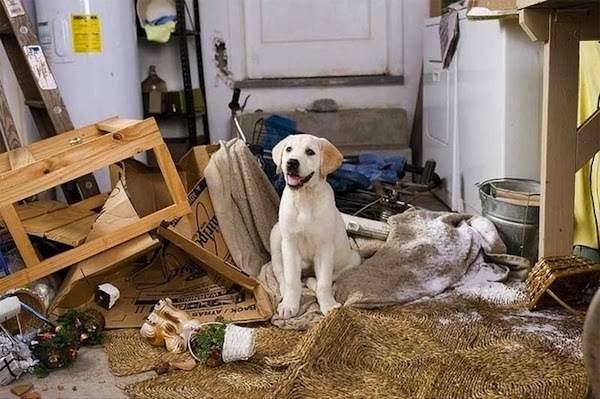 Most pets are eager to explore the outside, and once they realize they have the option to go in and out as they please, they will jump at the opportunity. Teaching the pet to use a pet door generally takes somewhere between five seconds and five days. Using the PlexiDor comes naturally to most dogs and cats, even if they are reluctant to use a traditional rubber flap door. 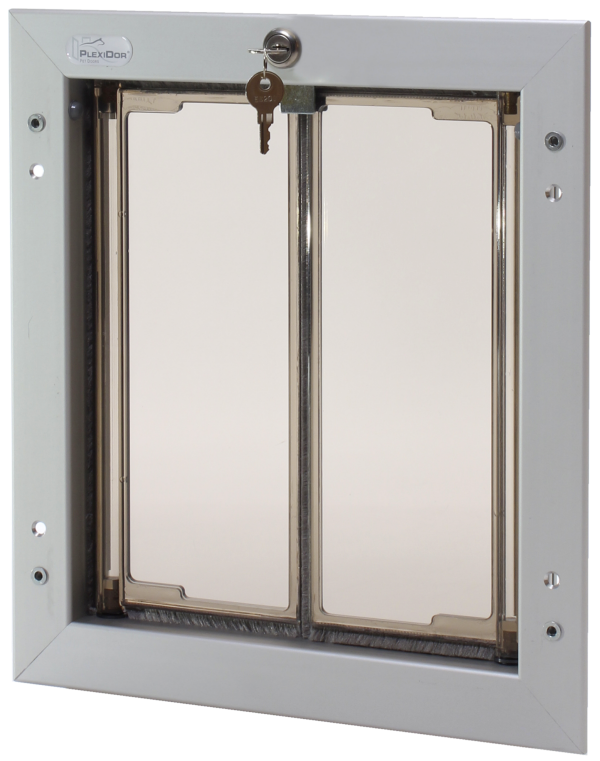 They can see the outside through the clear panel, and the panel swings open easily. 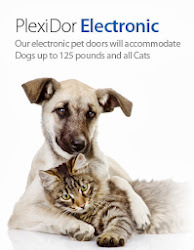 If the pet doesn’t take to the door, try propping one of the panels open and coaxing the pet through with a treat. When it comes to cats, it generally works well to put something they want on the other side of the door. 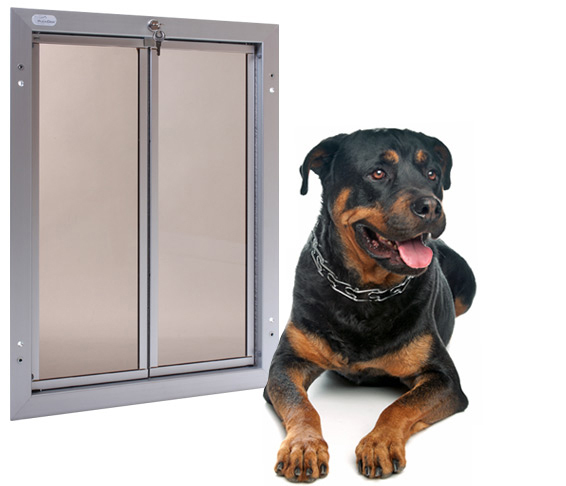 For the electronic door, it usually works well to put a treat on the bottom lip of the pet door. The dog or cat approaches to get the treat, and the collar key triggers the door to open. It doesn’t take long for the pets to figure out that the door will open when they come close. Some pets need longer than others. It is important to stay patient and calm, and give praise once they do come through. When the get the hang of it, they’ll be happy to run in and out without having to wait for a human to get the door. Download size charts with dog weights, opening dimensions, and cut holes here! The American Pet Products Association has kept record of our spending on pets since 1996, and ever since the industry has seen a steady growth of 4 to 6 percent per year. In 2013, Americans spent $55.7 billion on their pets, and this year, the number is expected to rise to $60 billion. If the trend stays as strong as during the past 18 years, we will see some 92 million American pet owners by 2018, who will spend at least $70 billion on pets, pet care, and pet products. The biggest chunk of money in 2013 went to food. $21.6 billion fed our animal friends, and a large amount of this paid for healthier and more expensive food than in previous years. Other highlights include $14.4 billion for veterinary care and $13.1 billion for supplies and over-the-counter medicines. 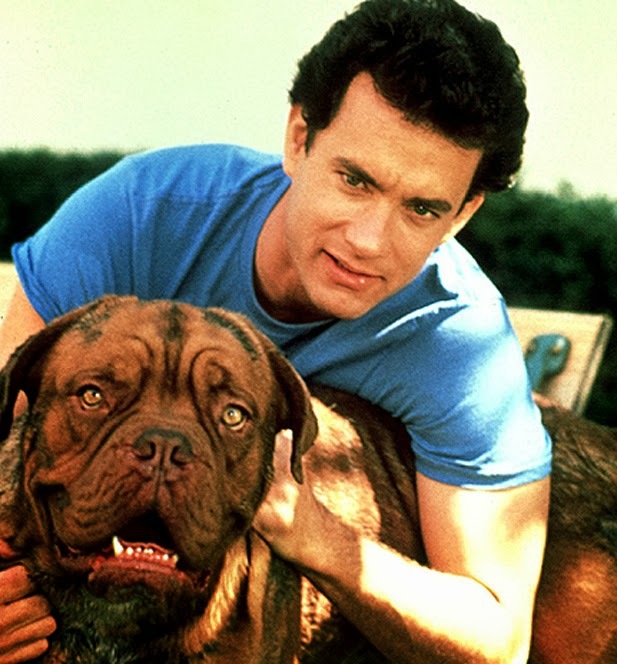 Hooch was the giant and drooling sidekick of Tom Hanks in the 1989 comedy Turner and Hooch. Hooch was portrayed by Beasley, a French Mastiff (Dogue de Bordeaux), and his trainer Clint Rowe made a cameo in the movie as an ASPCA officer. 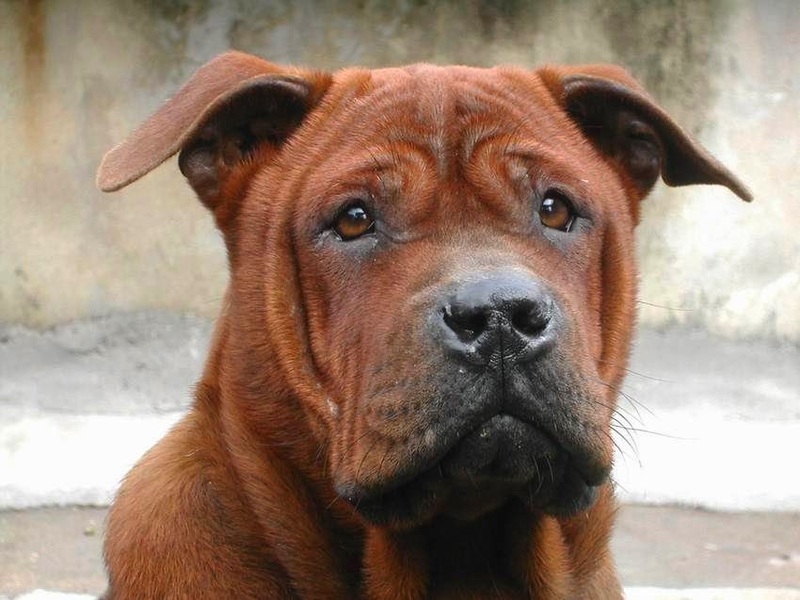 Beasley made the French Mastiff breed more popular both as household pet and in movies and television. This is a very old breed. The French Mastiff is powerful and strong and has traditionally been used to pull carts, haul heavy objects, protect castles, and guarding cattle. They are known for being vigilant and brave. The list of most popular dog breeds in 2013 has been released by the AKC. The top ten is the same as 2012. Click here to see the entire list! The Labrador is the most popular dog in the USA. The AKC notes that some rare breeds that have been on decline during the past decade gained ground in 2013. A couple of examples are Keeshonden who rose from 103 to 86, Nova Scotia Duck Tolling Retrievers who rode from 104 to 97, and Irish Terriers who gained ground from position 132 to 123. 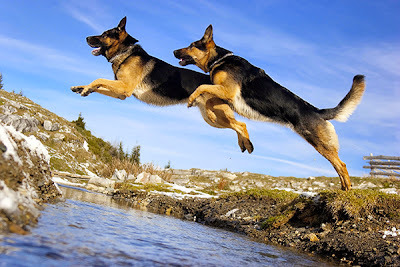 Many working breeds have also seen leaps in popularity. Doberman pinchers rose from position 22 to 12. Great Danes from 27 to 16, and Bernese Mountain Dogs from 47 to 32. Global Pet Expo is the pet industry's largest annual trade show, presented by APPA - American Pet Products Association - and PIDA - Pet Industry Distributors Association. In 2013, the show featured nearly 1,000 exhibitors spread over 2,686 booths. There were over 3,000 new product launches, and over 5,000 pet product buyers attended. On the image to the right you can see the PlexiDor booth from 2013, featuring the electronic door as well as our in-store display. 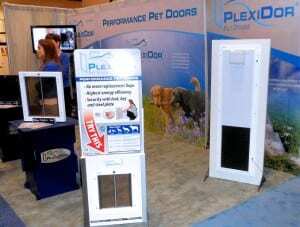 PlexiDor Pet Doors will be at booth 554. The show takes place in Orlando, at the Orange County Convention Center and is open March 12 to 14. Global Pet Expo is not open to the general public, but if you are one of the pet industry professionals attending, come by and see us! 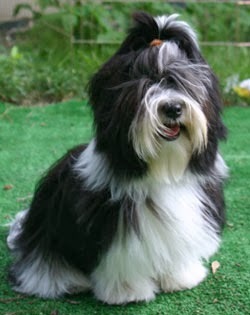 The Havanese is the national dog of Cuba, and the country's only native breed. They are believed to have come with trade ships sailing from Tenerife in the early 16th century. Cuban trade was highly restricted by the Spanish and for many years Tenerife was one of their only open ports. Every dog in the world today outside of Cuba stems from 11 dogs who fled Cuba at the time of revolution. While their coat can look warm, it is very light and soft, and developed to insulate and protect the dogs from the tropical sun. They don't shed, but they still need regular grooming to keep the coat in good condition. This is a small and sturdy dog who is generally friendly. They are natural companion dogs who become very attached to their human families. Known for being affectionate, intelligent, easy to train, and playful they get along well with people, dogs, cats, and other pets. They also bark very little. The Havanese is a healthy breed and the average life span is 14-15 years. While they do require exercise they do well in apartments. They need to be with their family; this is not a breed suitable for being an outdoors dog. They are also known under the names Bichon Havanais, Havana Silk Dog, and Bichone Havanese. 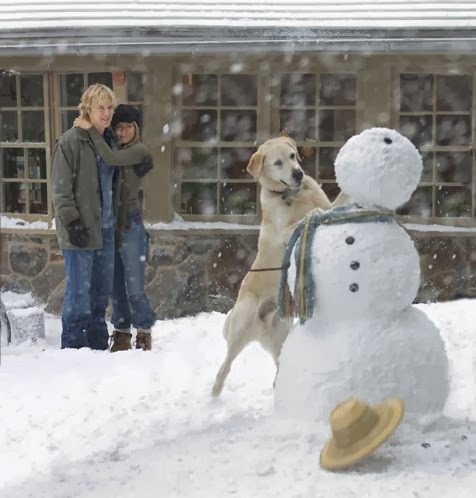 Marley & Me is a film adaptation from a book by John Grogan about a high energy yellow labrador. At least 18 different dogs were used to bring Marley to life on the big screen. 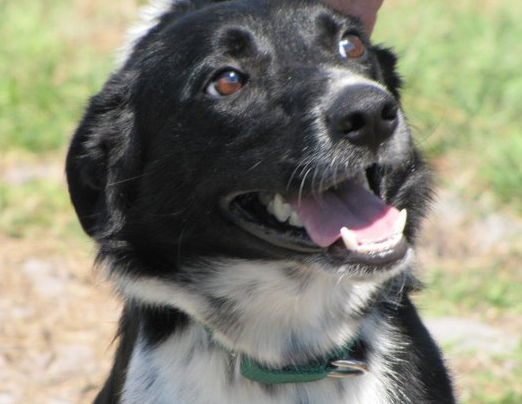 Most of them were rescued from shelters, but a few were hand selected from breeders to get a specific look. The dogs still homeless when the filming was over were adopted by cast and crew members who fell in love with them on the set. One of the actors come from a Hillsborough County shelter not too far from the PlexiDor factory. Rudy played Marley eating a birthday cake, ripping a snowman apart, swimming in a pool, and playing catch. Tampa Bay Times writes about Rudy, "Susan Woolley, a volunteer with Labrador Retriever Rescue of Florida Inc., learned he was about to be euthanized by Hillsborough County Animal Services. Rudy came with stitches and an injured leg. Woolley tried to find him a home. People kept bringing him back, maybe because he had so much energy. 'We kept him because nobody wanted him,' she said. Then, one day, Woolley got a call from a trainer looking for a rescued yellow Lab to play Marley in the movie." One of the dogs who played Marley is now part of the Animal Actors exhibit at Universal Studios in Hollywood, where visitors can watch adopted animals perform movie-worthy tricks in front of a live audience. For at least 12,000 years, humans have bred domestic dogs for appearance and other qualities. This has resulted in some breed specific ailments, such as hip problems in German Shepherds and Pug Encephalitis. Now we also know that the brains of many short-snouted dog breeds have rotated forward as much as 15 degrees, relocating vital areas of the brain. Researchers from the University of New South Wales and University of Sydney used magnetic resonance imaging (MRI) on a wide range of breeds. 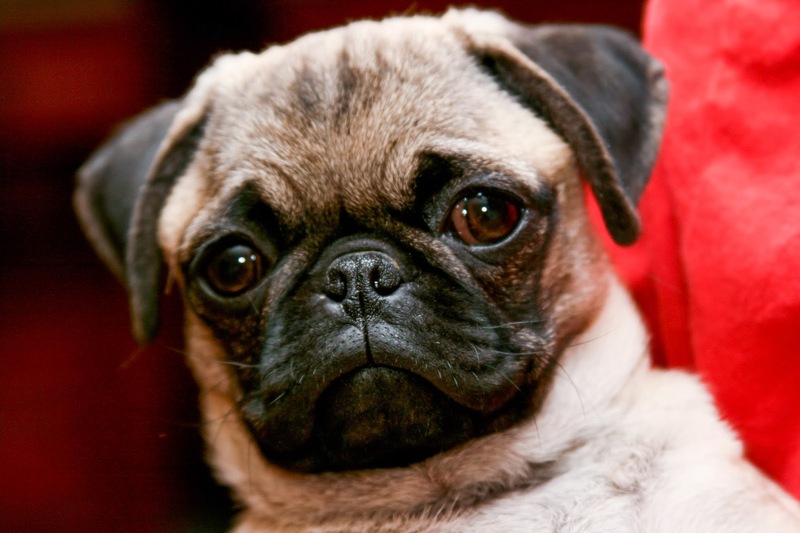 In pug-like breeds, the brain region controlling smell has relocated to the lowest position in the skull. Doctor Valenzuela says, "Canines seem to be incredibly responsive to human intervention through breeding." and adds that no other animal has enjoyed the level of human affection and companionship like the dog, nor undergone such a systemic and deliberate intervention in its biology through breeding. The diversity suggests a unique level of plasticity in the canine genome. While we assume that dogs live in a world dominated by smell, the relocation of the brain might mean that one dog's perception is completely different from another's. The next step for the research will be to investigate if the difference in brain organization are linked to differences in brain function. Crufts at the NEC in Birmingham is the world's largest dog show. It is considered a national institution, and has been in existence since 1891. In 2013, 149,500 dog lovers attended. 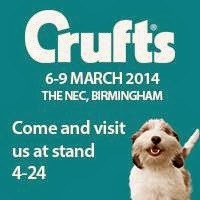 Crufts celebrates every aspect of the role dogs play in our lives. It is a dog show, but also a big shopping and entertainment event that celebrates working dogs, rescue dogs, and much more. Click here to read the history of this venerable show, and click here to see catalogs from 1886 and forward! Under 12s go free. Dogs cannot visit unless they are registered assistance dogs, or invited by the Kennel Club. The event takes place March 6-9 2014 from 8:15 to 19:30, and PlexiDors will be there. Come and visit us at stand 4-24! The other day we wrote about a new study showing dogs are sensitive to emotion in human voices. The study involved 11 dogs trained to lie completely still inside a brain scanner. Building on this study, Attila Andics from MTA-ELTE Comparative Ethology Research Group in Hungary attempts to explain this bond between humans and dogs. One possible explanation is that the bond between dogs and humans have grown over so many generations that the dog brain evolved to be more responsive to the human voice. Andics puts forward another exciting explanation, that he deems more likely. It might all have begun before there were any modern humans, or dogs, or even wolves. He says, "It may date back to a common ancestor of dogs and humans before the lineages split approximately 90-100 million years ago." If this theory is correct, many different mammals might process auditory information in ways similar to humans and dogs, and it could explain the bond many feel between different species. This study accompanies other fresh research that together suggests our common belief that the relationship between humans and dogs began some measly few thousand years ago is wrong. Geneticist John Novembre says, "Dog domestication is more complex than we originally thought." There are large genetic differences between dogs and modern wolves, and points to a human-dog relationship stretching back at least 35,000 years. The German Shepherd was originally developed for herding and guarding sheep. It is strong, intelligent, loyal, and obedient, and popular with police and military all over the world. German Shepherds are highly active dogs, willing to learn and eager to have a purpose. 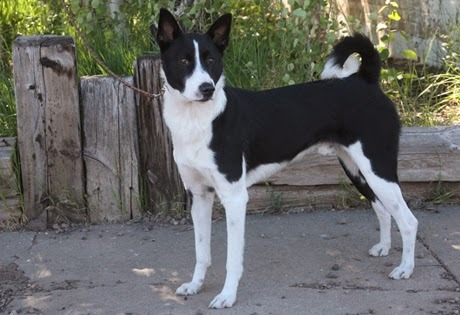 They have been ranked third dog breed regarding intelligence, close after Border Collies and Poodles. They excel at guarding. Most are inherently suspicious towards strangers, and they are protective towards home and family. This is the most popular dog breed in a number of American cities, such as Buffalo, Chicago, Cincinnati, Detroit, and Miami. They are the third most popular breed in Seattle, Houston, and Portland, and the second most popular in Philadelphia and Boston.